It can be really daunting to write an appreciation or letter for the gift you have received from friends before your wedding. However, it is very necessary to personally thank each person who took out so much time to shop for a gift and wrap it up for your upcoming wedding. The letter needs not to be long, you will just have to be careful about some etiquettes for writing it. 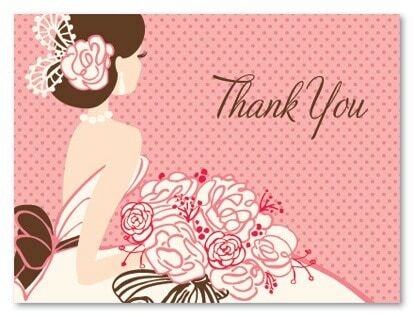 Here is the guide put together so you can start writing a unique bridal shower appreciation letter. The introduction of your letter should never be “thank you for your gift.” You have to start by saying that your presence was really important for you. After you have thanked them for the presence, then name the gift and say thanks for bringing it too. If someone was not able to attend, show regret but do thank them for sending the gift. Write a short compliment about the gift following a statement that you love the gift. Just be sure that you are specific about what you have received. In the conclusion of the letter, you need to express gratitude for the love and support show at the shower. Make sure that you let them feel that their presence was important for you. If you are thanking some special friend, then you will have to use your own voice in the letter but if it’s a bunch of people for whom you are fulfilling the formality, then those typical gift-giving party notes can be enough too. However, some people want to add a unique touch and for that purpose, they want to make every gift-giving appreciation note different. This will not be a bad effort after all but you will have to put some work. If you are looking for a gift for bridal shower there are thousands of bridal shower favors on pinterest.com. Thank you for coming to my gift-giving and celebrating the joy of my upcoming wedding. The dinner set as my wedding present was totally wonderful. I am going to save it for special dinners with family. And it’s going to always remind me of your love and affection. Aron says he really like you and I wasn’t surprised why he wouldn’t because you have always been a really fun person in my life. I would be glad if you and uncle john would attend my wedding. I know he is always busy with his books but your blessings at my wedding are truly important.